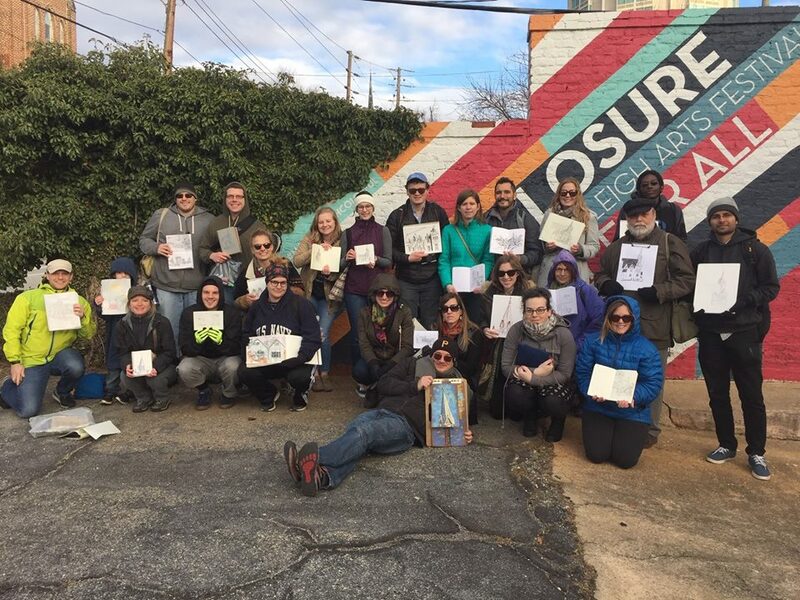 Join CAM's Urban Sketching Group for another great outing on Saturday, February 9, 2019. Explore downtown, have fun with new friends and make art! Free admission. All levels are welcome, so bring a friend and we'll sketch this city. CAM's Urban Sketching Group meets at CAM Raleigh on the second Saturday of every month. The group meets in the lobby and heads out at 2pm, so please be prompt. Please bring your portable art supplies and wear walking shoes. Participants must be 18+ unless accompanied by adult. Event occurs monthly on the second Saturday of each month.